Founded by former stylists Julia and Alisa Ruban, RUBAN delivers a cast of whitehot, haute fashion. The sisters make a compelling case for white being chic all year round. Take a cue from the posh peplums and fabulous furs adorning these pieces: this look is a major do! Washes of bright, candy colors liven up the ivory ensembles and set the soft tone of the collection. 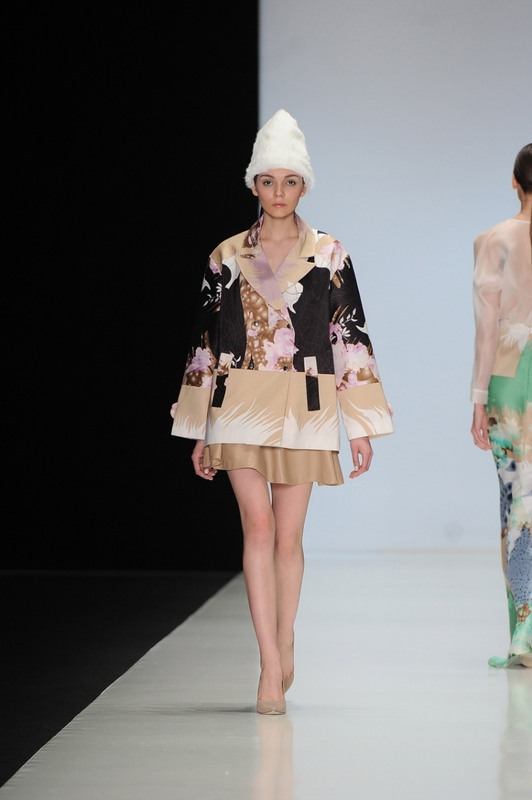 The maxi-length silhouettes are kimono-like and connote grace and poise – Eastern traditions to which women aspire. As the collection moves down the runway, it takes a literal leap, right out of Spring and into Fall. The benefit is that these looks are great for transitional dressing. The whites, blues, and greens that open the collection are coupled with a rich color palette of orchid, camel, and brown, signaling deeply desired winter warmth. The colors themselves mimic the changing seasons, painting a picture first of a plush blue-green landscape, then of rich autumnal leaves that will fall, and finally of winter’s white blankets of snow. 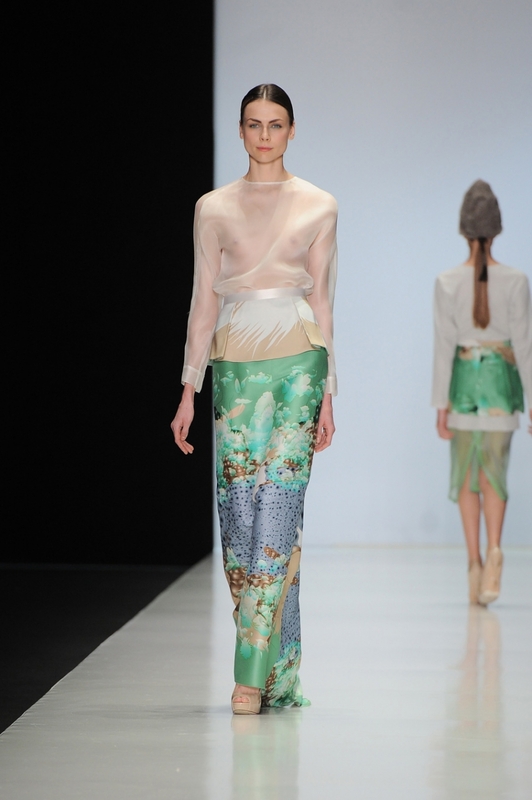 The designers have mixed together hard, structured lines with soft, sheer fabrications to tell their tale. These elements help the collection evolve and highlight a unique aesthetic that is truly modern. With pieces clean enough to wear to work, and daring enough to take you to cocktail hour, you can’t go wrong. Which look speaks to you?